This study is a phenomenological study exploring faculty experiences teaching online coursework in master's programs in education. The study sought to understand and categorize learning factors that might produce stress and job burnout in the online instructional environment. 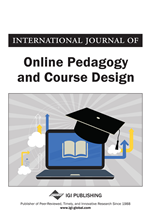 In addition, the demands, expectations, and associated stress-producing factors in the online instructional environment were examined to distinguish best practices for online faculty. Moreover, attributes required by faculty best suited for the expectations and demands in distance learning were classified. Online faculty perspectives with teaching experience in the modality for three or more years generated the study's findings and insights. Stakeholders such as administrators, faculty trainers, faculty mentors, and faculty interested in employment in distance learning may find these insights useful to identify realistic criteria to base future decisions about teaching online, employment practices, hiring standards, and training opportunities. Insights about best practices, standards, and procedures have been articulated to assist in the development of administrative decisions, initial training programs, faculty mentor supports, and on-going faculty training. To meet the educational needs and abilities of adults, Brookfield (1999) pointed to the necessity of establishing a “connectedness” to learning, encouraging adults to incorporate their previous learning and experience, to be more self-directed, and to link the curriculum to their lives and their work. Three theories of adult learning that have significantly affected higher education and the online learner include andragogy theory by Malcolm Knowles, transformative learning by Jack Mezirow, and student-centered learning by Carl Rogers.